Not all of us have perfect skin – sad but true. However, we can make it look perfect, at least in the pictures. 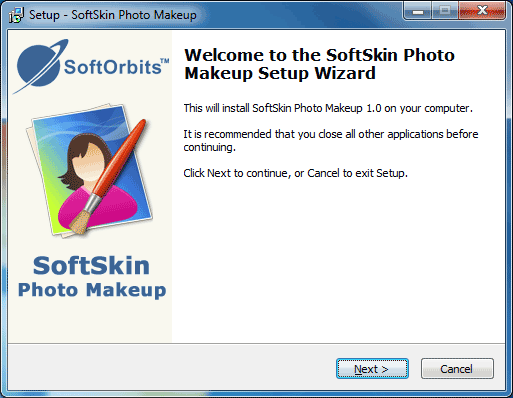 SoftOrbits is happy to introduce its brand new project, SoftSkin Photo Makeup – a unique tool for professional photographers and average computer users. 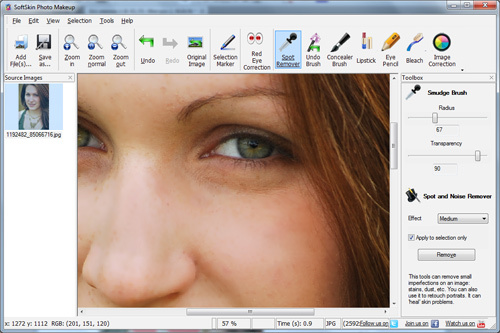 Download SoftSkin Photo Makeup and install it. 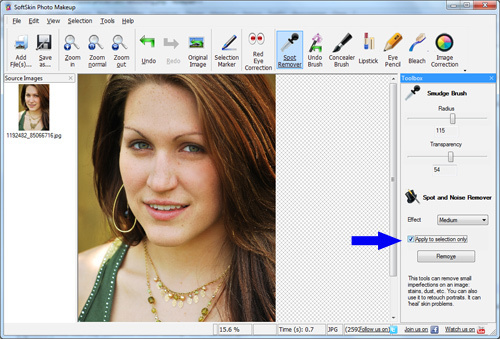 Upload the files you want to edit using the “Add files…” button. Zoom in the picture, if needed. Select the Spot remover tool and select the desired radius and transparency level. Check the "Apply to selection only" check box. 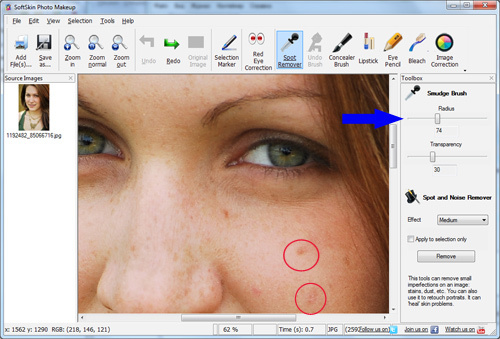 Select the skin area using a Marker tool. Use the Spot Remover/Spot and Noise Remover automatic tool to remove spots and other skin defects from the selected area. You can try SoftSkin Photo Makeup now! Go and get it!